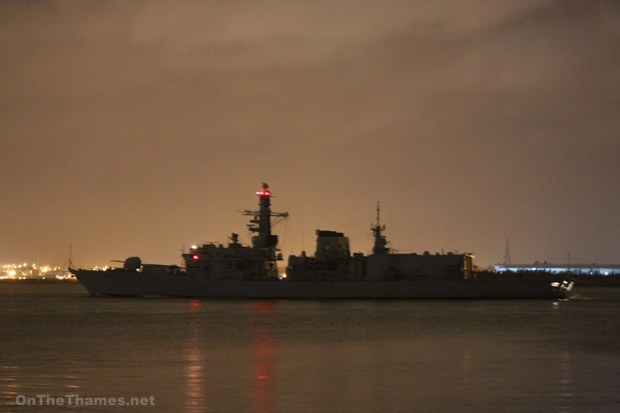 TYPE-23 frigate HMS ARGYLL arrived in London late last night for a five-day port visit. 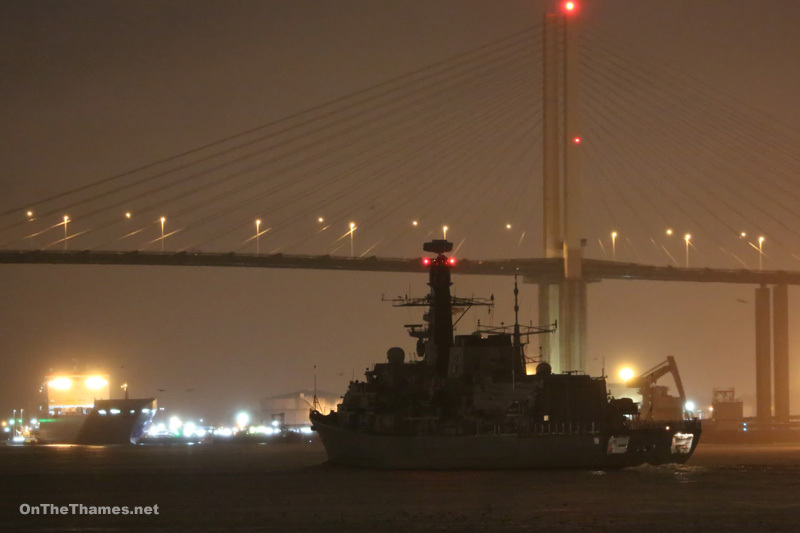 The Duke Class vessel passed Greenhithe (pictured above and below) shortly before midnight and transited through Tower Bridge at 01:45 where she moored alongside HMS BELFAST. 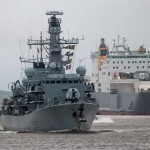 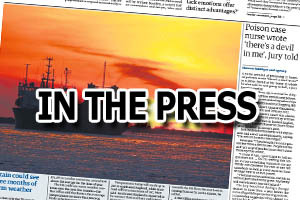 Crew members will take the opportunity to enjoy a tour of the Houses of Parliament and the Guildhall while they are in London and on Saturday, Royal Naval reservists from HMS President will get the chance to go on board. 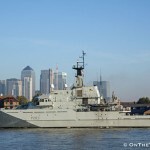 The vessel, under the command of Londoner Paul Hammond, will not be open to the public during this port visit but some pre-arranged tours will take place and two capability demonstrations are scheduled onboard. 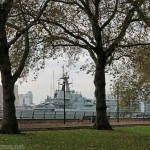 HMS ARGYLL will depart the capital at 16.05 on Sunday 19th January. 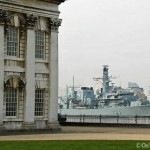 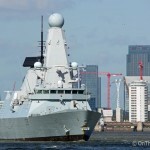 Her arrival marks the first Thames visit from the Royal Navy this year. 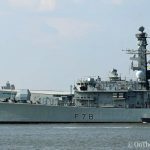 Type-23 frigates that visited last year were HMS WESTMINSTER, HMS SUTHERLAND, HMS RICHMOND, HMS NORTHUMBERLAND and HMS LANCASTER.